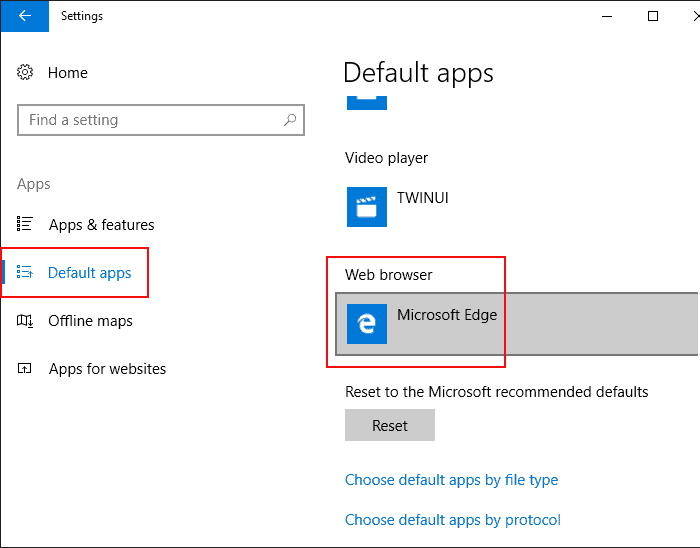 The new default web browser in Windows 10 is Microsoft Edge. It knocks clunky Internet Explorer off of its pedestal after nearly two decades. Although Edge is the default web browser, the latest Windows version still includes Internet Explorer 11. But wait just a minute. Neither Edge nor Internet Explorer were your default web browser when you were running Windows 7 or Windows 8.1. So how did Edge all of a sudden become the cream that rose to the top? As the reality of this clandestine switcheroo sinks in, we’ll show you how to change the default web browser in Windows 10. It is easy to change it back to your web browser of choice. Much to the chagrin of Mozilla CEO Chris Beard, among others, Microsoft overrode users’ default web browser choice. Our experience with Microsoft Edge has been positive. Its lack of support for displaying Java content is disappointing, but not surprising. 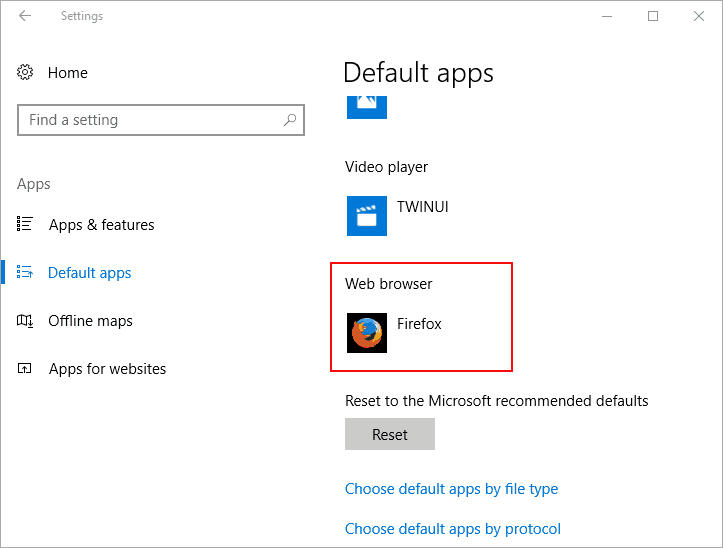 If you are a Firefocker, Chromagnon, Operasite or Safarian, configure your preferred browser as the default web browser in Windows 10. In this example, we are going with Firefox. Click or tap the Start button, then click Settings. In the Settings menu, click or tap the Apps icon. Next, within the left navigation of the Apps menu, click or tap Default apps. In the right-hand pane, scroll down to the Web browser section. 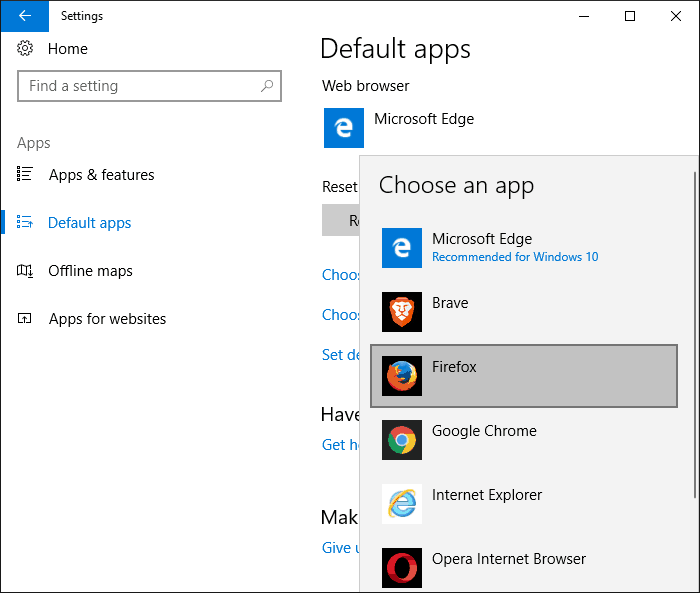 Microsoft Edge should be pre-selected. Click or tap Microsoft Edge. A new Choose an app menu will open. The menu will list the web browser applications installed on your computer. 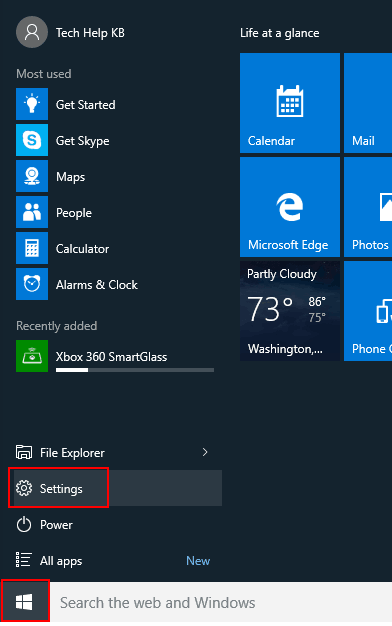 Click the browser you want set as the default Windows 10 web browser. 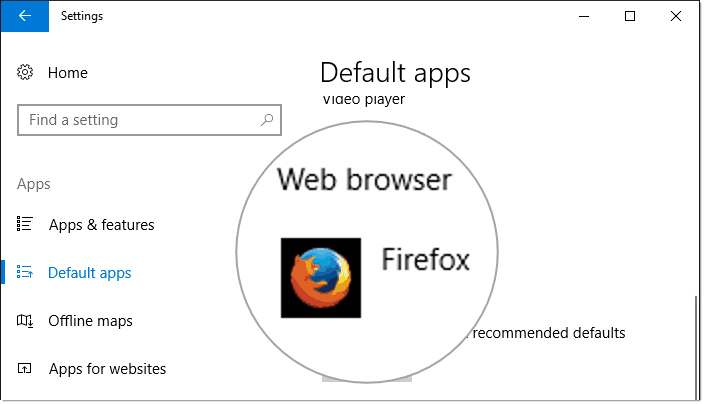 In this example, we will choose Firefox as the new default Web browser app. With Firefox selected as the default Web browser app, content that launches in your web browser, such as a link clicked in an email, will launch in Firefox instead of Microsoft Edge. 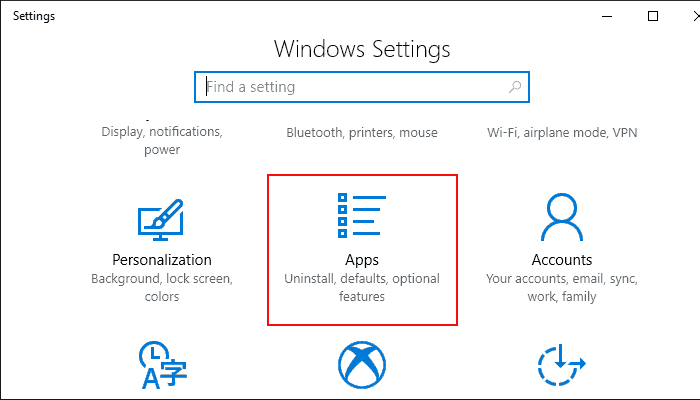 Thank you for visiting Tech Help Knowledgebase to learn how to change the default web browser in Windows 10.